Studies like the commuter study we discussed in part one of this series demonstrate that despite the clear benefits of exercise, telling everyone to exercise for 30 minutes per day may not be the best way to attain our collective best health. Building physical activity into our daily lives could be more sustainable and feasible for a large proportion of the population. This line of thought is supported by the National Physical Activity Plan (NPAP), an alliance formed by several organizations including the American Heart Association (AHA), and the American College of Sports Medicine (ACSM) to improve our nation’s health through increased physical activity. Someone that wakes up, gets showered and dressed, walks to the car, and drives to work. Upon getting to work, much of the day is spent sitting and hunched over a computer. Their only appreciable steps may be acquired via walking to the bathroom, going to talk with nearby colleagues, or meetings. Maybe another walk to the parking lot to drive to lunch, at best. Following work, they stop at the gym for an hour to ride a stationary bicycle for 35 minutes, followed by a 10-minute cool down on the elliptical and some calisthenics. Following the gym, they drive home, have some dinner, and watch some television, browse online, maybe get a little work done, talk with family, or read (all of which are sedentary activities). So in the example given, the person has met their exercise target but outside of that, they were sedentary. If we swap stationary bicycling for running in our example above, this type of day may even result in a grand total of 5,000 to 10,000 steps depending on the details but the point is that the person spent maybe 15 or 20 minutes outside the gym actually walking being active, hence the title “habitually sedentary exerciser”. And not to beat a dead horse here, but with all of our modern conveniences, our home lives can get really sedentary! “OK Alexa, turn on the tv. Turn on Game of Thrones. Order pizza. Tell the washer to start in 20 minutes. Tell roomba to vacuum the living room”. You get the point. Personally, I can recall several instances where I look down and three hours has passed and I know I need to go for a quick 10 minute walk to keep my step count up. So the question is, is this a bad thing? and if so, what can we do about it? Well, according to the authors of the AHA call to action, the concept of a habitually sedentary exerciser is a bad thing. In their support, many studies support the notion that physical inactivity is bad for various components of our health (1,2,3,4). In fact, a recent study investigated blood vessel function in young men with a relatively high level of physical activity. Measures were taken during their normal activity levels and after having them reduce their physical activity for five days (<5000 steps per day). The researchers found that a high sugar beverage (usually used as a diagnostic testing tool for blood glucose control) caused the young men’s arteries to stiffen to a greater extent while inactive compared to their normal active routines (4). This particular research group has also found a number of negative effects caused by prolonged sitting and short-term physical inactivity (reducing steps to less than 5000 per day) such as reduced insulin sensitivity and a reduction in our arteries ability to dilate (5,6,7,8,9). Interestingly, several studies have also shown that fidgeting your legs while sitting exercising beforehand or even breaking up sitting with some brief standing will prevent a reduction in our blood vessels ability to dilate (6,9,10). Luckily there are now affordable desk pedals that can be used to help with this as well. A recent World Health Organization report included physical inactivity as one of the big four risk factors for noncommunicable chronic diseases (heart disease, diabetes, etc), in addition to high blood pressure, smoking, and high blood glucose. The economic consequences are also staggering. In the U.S. alone, we have a 3.3 trillion per year expenditure on healthcare. Clearly, increasing our activity levels would benefit everyone’s health and reduce health care spending. To fix the problem of physical inactivity we must look at what causes it in the first place. A major contributor our societal shift from more active manual labor jobs to more sedentary service jobs. A study published in PLOSone by Dr. Tim Church and colleagues present data from the U.S. National Health and Nutrition Examination Surveys (NHANES) demonstrating how our caloric expenditure at work has plummeted in the last 50+ years (11). Figure 2. Trends in the prevalence of sedentary, light and moderate intensity occupations from 1960 to 2008. From: Church TS, Thomas DM, Tudor-Locke C, Katzmarzyk PT, Earnest CP, Rodarte RQ, et al. (2011) Trends over 5 Decades in U.S. Occupation-Related Physical Activity and Their Associations with Obesity. PLoS ONE 6(5): e19657. In the early 1960's almost half the jobs in private industry in the U.S. required at least moderate intensity physical activity. As of the early 2000’s, less than 20% of the jobs in private industry demand at least a moderate level of physical activity. The figure above essentially shows Sedentary and low-level activity jobs have replaced moderate-activity jobs. Save for those who want to bring back coal mining and logging, I don’t think many of us seek to bring back the jobs of old. While the transition from labor to service sector jobs is seen as a form of progress by many, it still doesn’t protect our health from the decrease in activity. The only way other way to increase our activity then is in the form of our leisure. In recent national surveys that track leisure-time physical activity using questionnaires (for example, NHANES mentioned above), the data indicate that leisure-time physical activity are either stable or slightly improving (12). However, one study that objectively measured physical activity using accelerometer (think of a research grade Fitbit) determined that only about 5% of adults meet the recommended levels of physical activity (13). Unfortunately, this would suggest that leisure time physical activity is substantially lower than what is self-reported on questionnaires (13). So, what can we do to increase our energy expenditure throughout the day without just vaguely telling people to exercise? My take: Gauge employee interest in group fitness classes and what time blocks might result in the most participation (e.g., before work, lunch, after work). My take: We need more walking paths and bike paths that cyclists actually feel safe using (more on this in “additional resources” below). My take: There are a lot of folks in the exercise science field that believe physical activity and aerobic fitness should be treated as vital signs. Doctors should talk with patients about their physical activity and try to meet them where they are at while helping them strive to make at least incremental improvements. 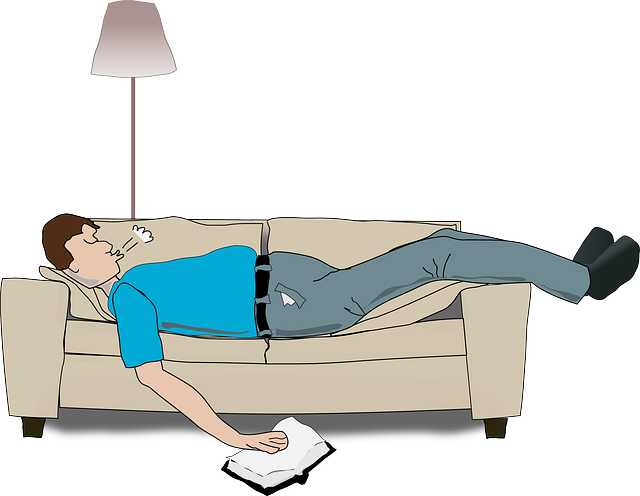 Most people are not aware of how inactive they really are. They could also refer patients to trainers or prescribe a gym membership. My take: We need to tailor messaging to different populations. People from different cultural backgrounds hold different beliefs about physical activity. Fortunately I think gender norms around exercise are starting to weaken (e.g., we previously wrote about the importance of lifting for women and provided a number of muscle gaining tips for women). My take: Get a bunch of celebrities and athletes to blast social media campaigns on the benefits of physical activity, the harm associated with inactivity, and give pointers on how they stay fit. Yeah, they can afford trainers, but they can give exercise pointers or anecdotes on how they include physical activity. *For this list I provided an example from each sector. Several examples are provided in the AHA Call to Action paper. I also do not claim to be an expert on every topic for which I provided my perspective on. Lastly, we also discussed some legislative solutions in the initial installment of this physical activity series and the physical activity benefit of active commuting in part one of this series. Thanks to Joe @ josephwatso.com, @KamilaMigdal, and Sofia for editing. “Get Up! Why your chair is killing you and what you can do about it” by Dr. James Levine. Dr. Levine discusses to physiology behind physical activity at length. Several historical perspectives are provided on how evolved to move and how society has reduced our physical activity levels. Some of his anecdotes are a little over the top but mostly entertaining. A more exhaustive review of the book is provided @ breakingmuscle.com *I do not receive royalties from Amazon. New York’s streets? Not so mean any more. This is a TED talk on how New York City added dozens of miles of protected on-street bike lanes that have been shown to be very effective at protecting cyclists. Four ways to make a city more walkable. Another TED talk on planning principles to transform metropolitan sprawl into safe, walkable cities with bike lanes and tree-lined streets. “Bike Nation: How cycling can save the world” by Peter Walker. Admittedly I did not read this book yet, but I hope to soon! Walker, a new correspondent for the Guardian explores attitudes on biking around the world and ho this affects public health and the environment. Again, really looking forward to striking this off my “to read” list. Jun 4 Oat milk: the next best thing? May 7 Junk food tax: a solution to obesity and chronic health issues?